There are certain rooms in the house that everyone wants to get just right. Of course, you want the entire house to look just right, but the bathroom and the kitchen are priorities. Today, this post is going to focus on the bathroom. If the bathroom isn’t right, the whole house can seem a little off. That is why you need to avoid the common mistakes that most homeowners make when they renovate. Some of them are simple, and others are a little more complex. But, with the help of this article, you will be able to negate them all for your benefit. 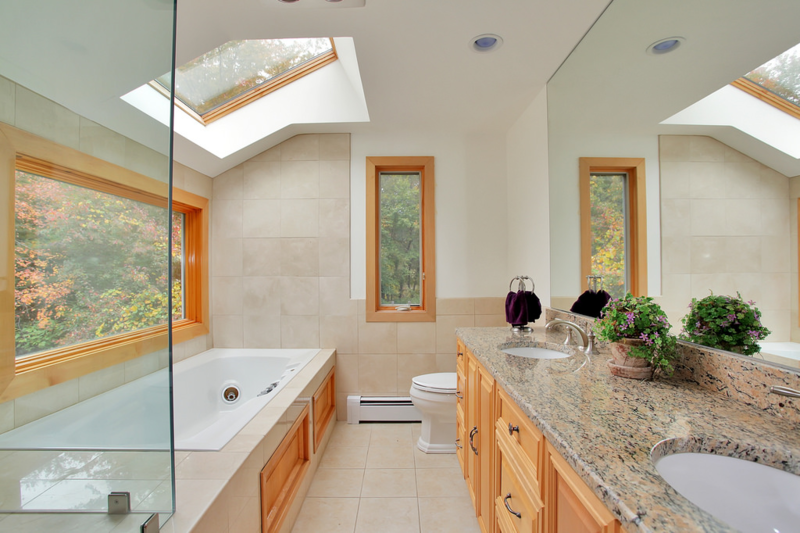 Here are the mistakes you need to avoid when you renovate your bathroom. Hopefully, you won’t make the same mistake as everyone else. A budget is an essential tool. In fact, some people might say that it is the most essential. 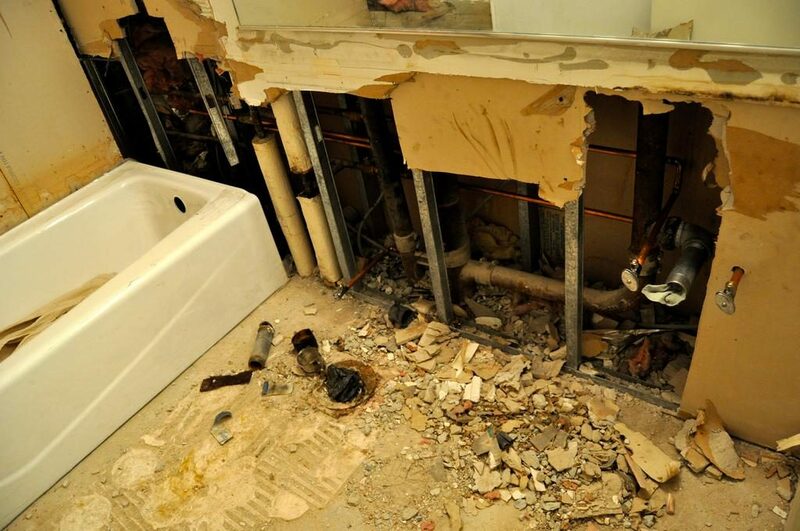 Without it, you can’t continue the renovation process, and your bathroom will look like a bomb site. If you have to use it in that condition, it will be ten times worse than before. As such, you need to plan your project around your budget. For those of you that don’t have the cash, don’t start until you source it from elsewhere. You can wait for a while and live a little more frugally until you’ve saved up a good cash reserve if need be. You can see if you can borrow the money from friends or family. There are also resources such as Personal Money Store that can assist. If you’re really stuck, then scale down the project to fit the amount of money you have at your disposal. A tip: projects usually go over budget, so always account for around ten percent extra if possible. All the materials you use in the bathroom have to be waterproof. If they aren’t, the water will run from the bathroom to other areas of the house. Before you know it, you will have damp on the walls and drips from the ceilings. When that happens, you can kiss goodbye to your prospects of selling the house. No one will touch it if it has water damage because it is so difficult and costly to repair. Any glue or sealant needs to be of high quality. When you use the proper materials, you know that they will be effective. Also, don’t forget to give them time to work. If the instructions say to leave it for a day, leave it for a day. It is a small price to pay for your ultimate bathroom. The less waterproofing you have in there, the more likely it’s going to be that mold will develop – something that’s going to ruin a lot of the hard work you put into renovation, as well as something that can put your long-term health at risk. 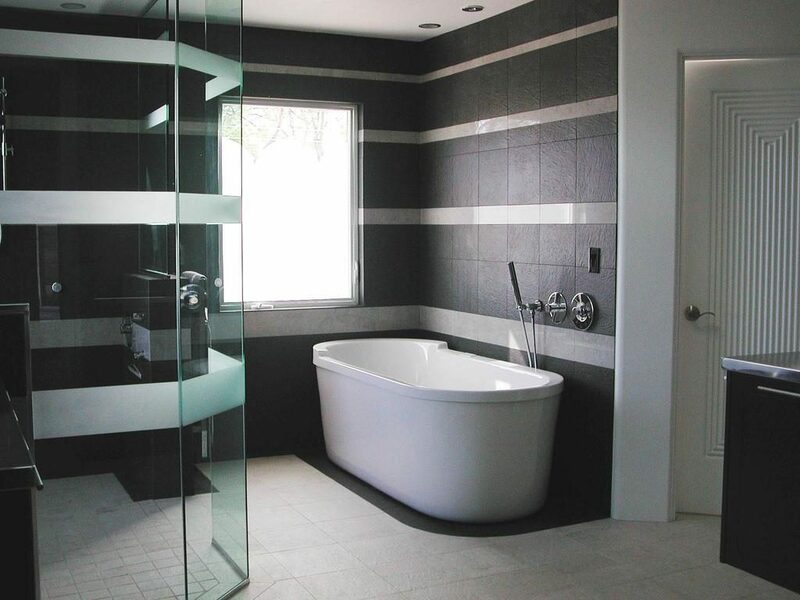 The layout of your bathroom will give you the space to move while you are in the room. Have you ever had to use a small bathroom day after day? If you haven’t, you don’t understand how uncomfortable it is when you have no space to manoeuvre. No one wants to have to put up with it, which is why you need to take the layout seriously. The trick is to get the bulky items up against the wall or into the corner. Then you have more space in the middle of the floor. 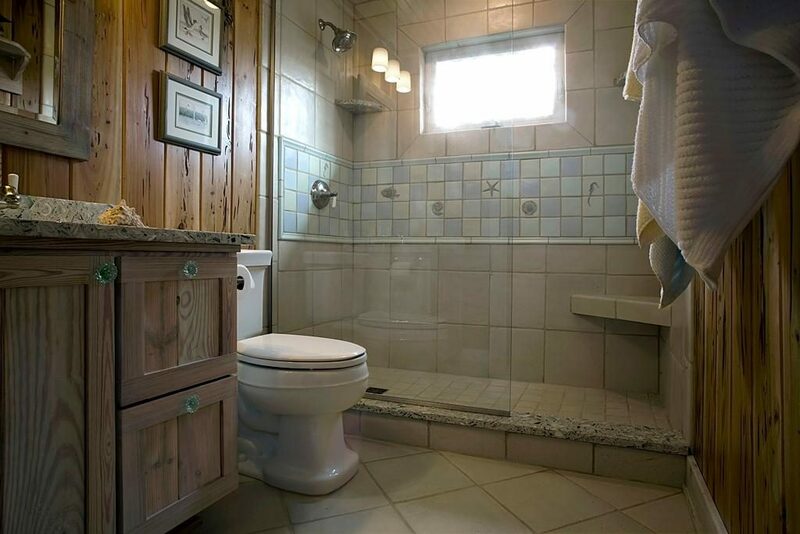 The toilet is obviously a tricky scenario, but you can fit a wall shower and corner sink. Both of these get right into the corners of the room and leave more space elsewhere. Then, you just need to make sure that you get rid of all the clutter. For instance, take all of your toiletries and put them in a storage container like a cupboard mirror. The cupboard mirror is as practical as it is stylish. Talking of cupboards and mirrors, let’s have a look at your storage options. If you are going to get rid of clutter, you are going to need a place to put them away. And, you can’t do that without any storage solutions. Obviously, you already know about the mirror. But, there are other options as well that don’t take up much space. Shelves are always a good idea because they are slim and fit overhead. Plus, it is easy to store items on them without too much hassle. A hollow chest is also a good idea. The chest will look stylish with the rest of the bathroom, but the inside will have space to store your bathroom items. Sometimes, it is a good idea to think outside of the box. Homeowners often think about the present when they renovate. Are you the same? If you are, you could be making a big mistake. The thing about the present is that it doesn’t last very long. Before you know it, the styles and trends have changed while your bathroom has stayed the same. Although you might not care, a potential buyer will care. 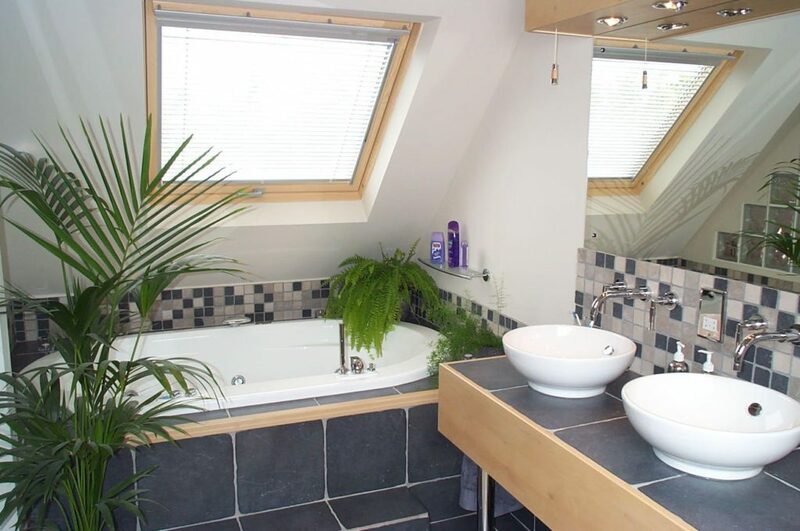 They will want the most up to date and modern bathroom possible, and they won’t find it on your property. When you think about the long-term, you cover all the bases. Okay, you might not want to move, yet that too might change in the future. If it does, you need to be in the best position possible to push through a sale. To counteract the last point, you can be too trendy. Again, it might suit your needs, but it might not suit anyone else’s. It is always a good idea to keep it modern, yet simple and quite basic. Anything that is overbearing might be too out there for another buyer should you think about selling your home at some point. Plus, you’ll probably end up spending a lot more money than you really need to. This doesn’t mean you shouldn’t look for items that provide you with a luxury bathroom experience, but don’t make trendiness your only criteria! Now that you understand the mistakes in this area, you can do your best to avoid them!